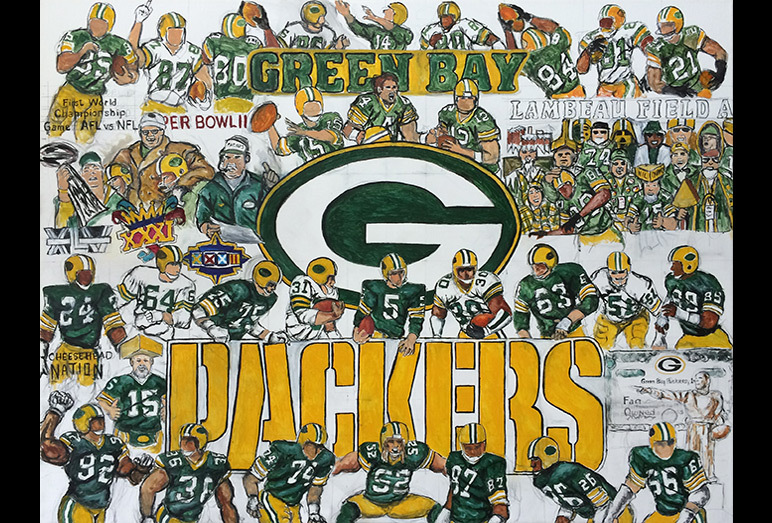 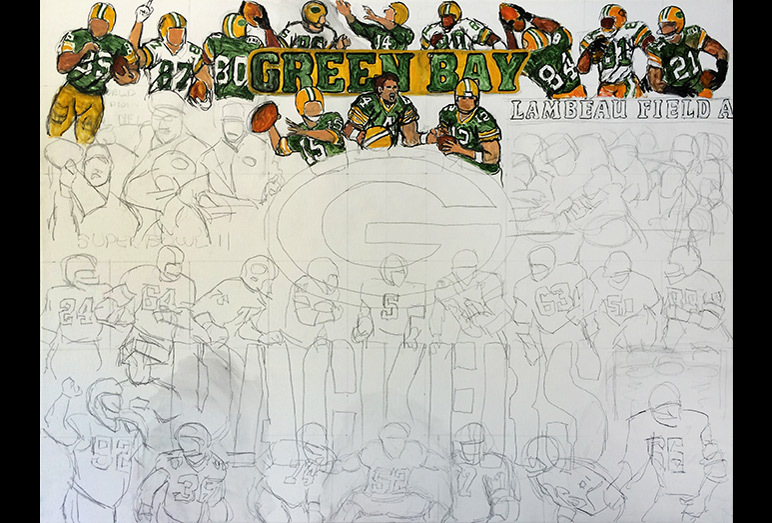 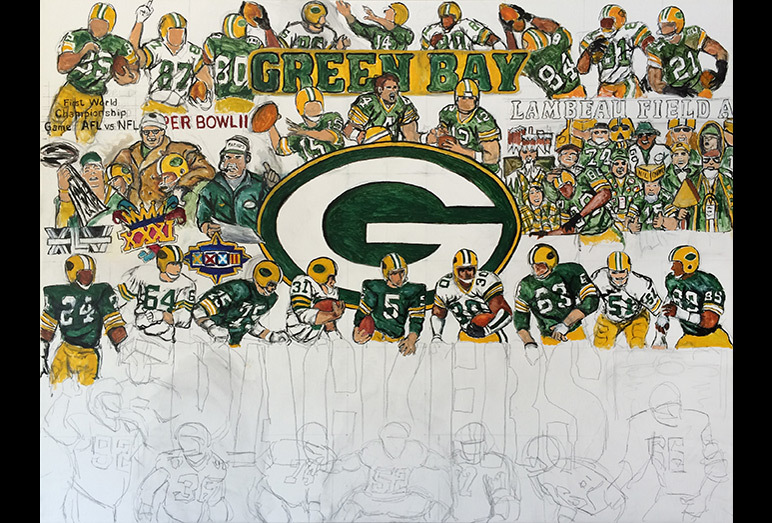 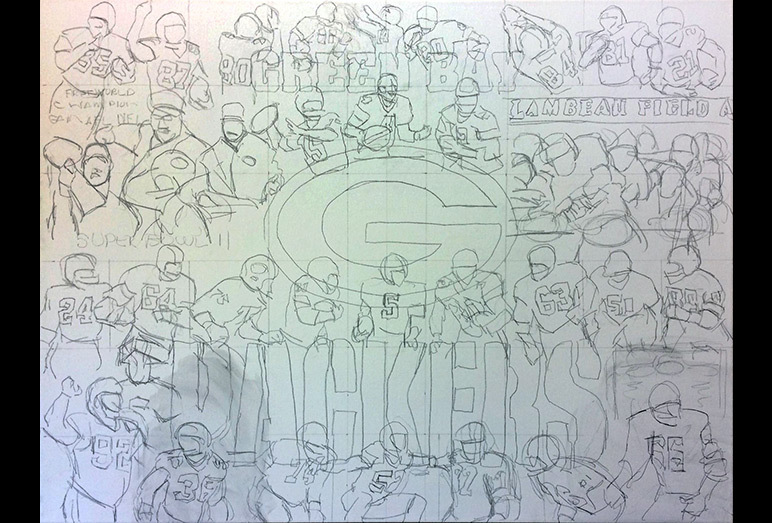 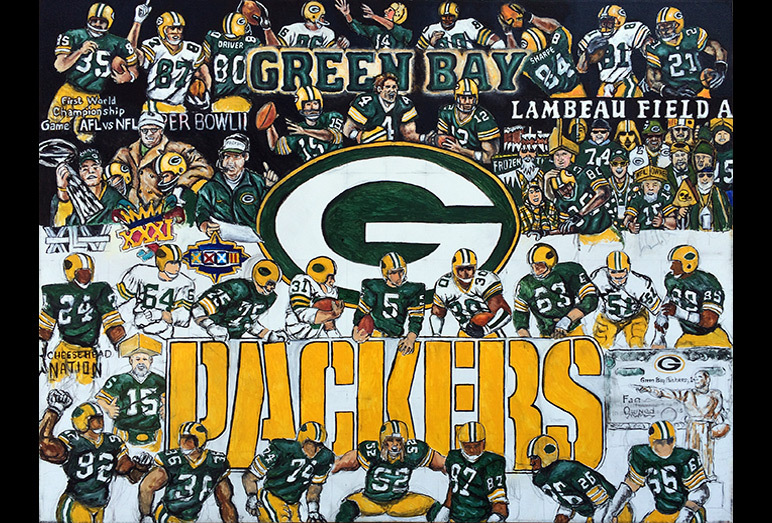 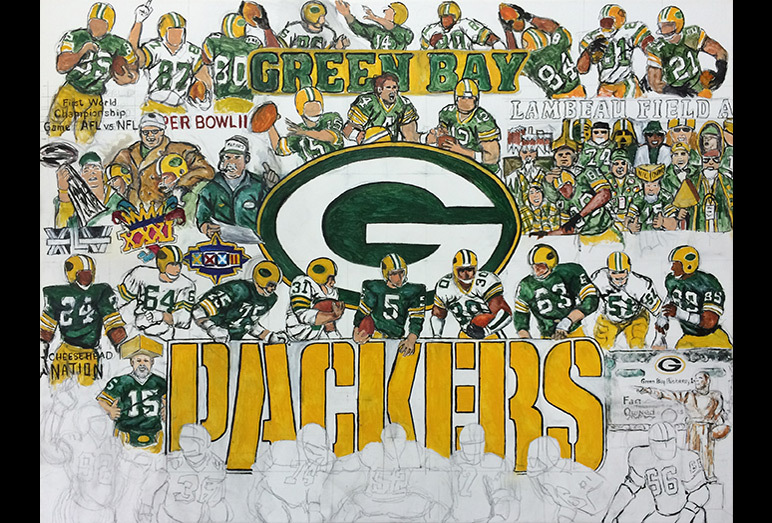 Packers Tribute -- Painting Progression -- Use controls to view all images. 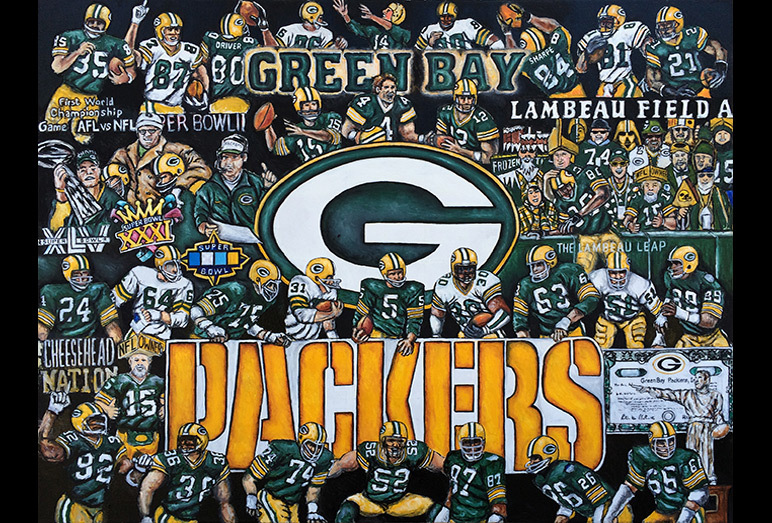 I believe sports rivalries are what make being a sports fan so much fun. 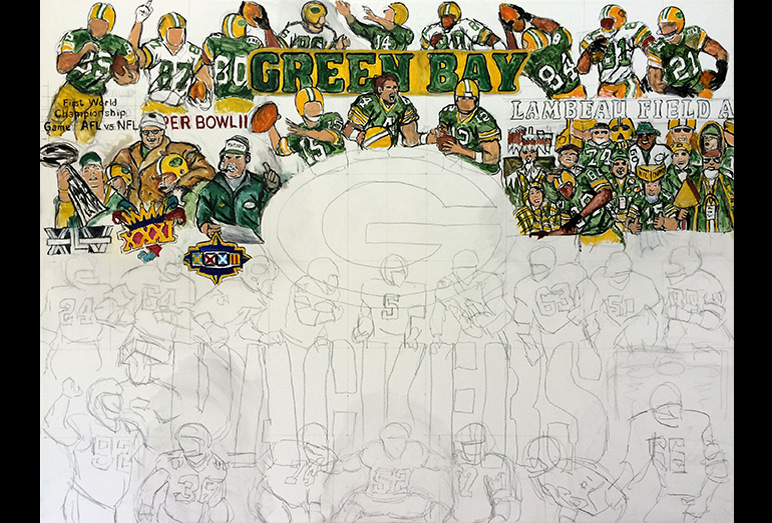 It has always been my desire to develop both Vikings Tribute and Packers Tribute paintings at the same time. 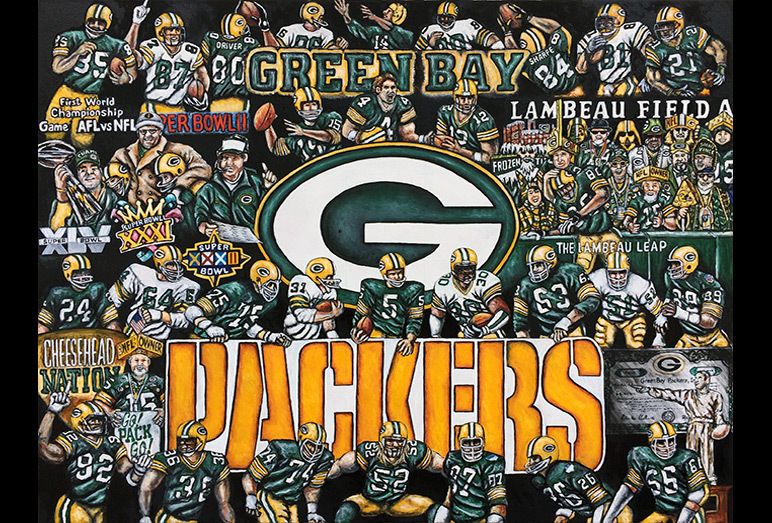 These are two storied franchises and one of the very best rivalries in all of professional sports. 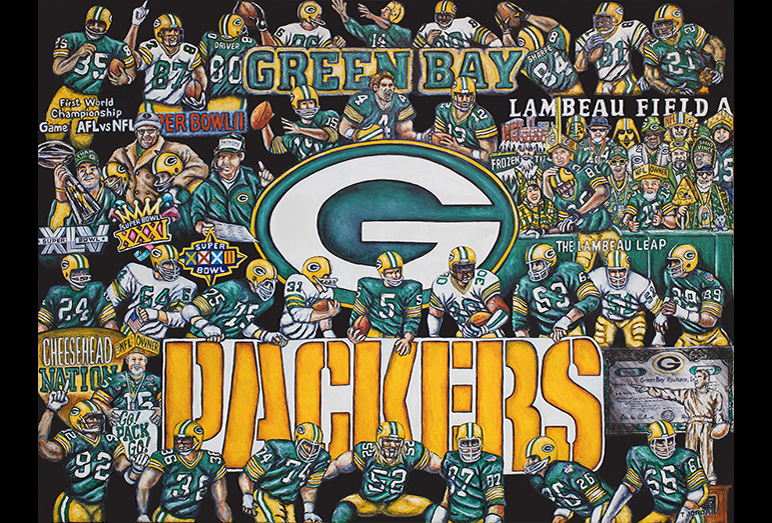 So for all you Cheesehead fans, this one is for you.